Few things in life are better than Pop-Tarts. Except, perhaps, frozen Pop-Tarts. People eat their Pop-Tarts in a variety of ways, and there is no wrong way to eat one, but when it comes to summer treats, we think one way rises about the rest: frozen Pop-Tarts, yes you read that right – frozen! While some superfans are already wise to the fact that Pop-Tarts taste great straight from the freezer, it’s time everyone knew. So, while summer may be coming to an end, that doesn’t mean you can’t keep the best parts of summer alive, like popsicles. So, Pop-Tarts invites you to take your favorite tart and make it extra frosty during the last days of summer with Popsicle-Tarts! By inserting a popsicle stick and dropping the thermometer a few dozen degrees, you can create an amazing taste sensation. Simple, sweet and easy to eat, Popsicle-Tarts will be your new go-to. With so many amazing varieties, the Pop-Tarts flavor lineup up is ready to take the chilly plunge, and Pop-Tarts is ready to share its favorite frozen flavors. So, grab your favorite Pop-Tarts flavor, add a popsicle stick, freeze and enjoy! 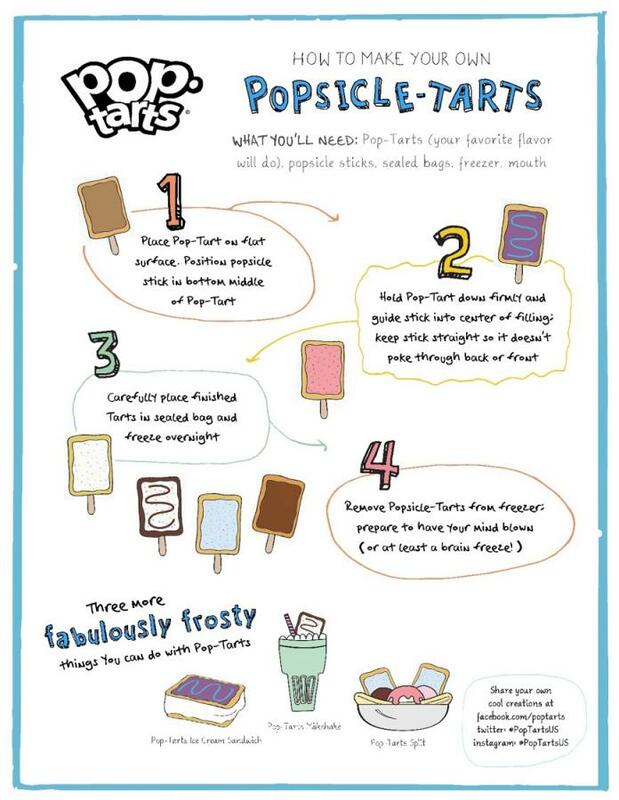 As tested by our Pop-Tarts flavor experts, these are the six we recommend you turn from frosted to frosty! For more information on Pop-Tarts and the full flavor line, visit poptarts.com or follow along via Facebook, Twitter and Instagram.